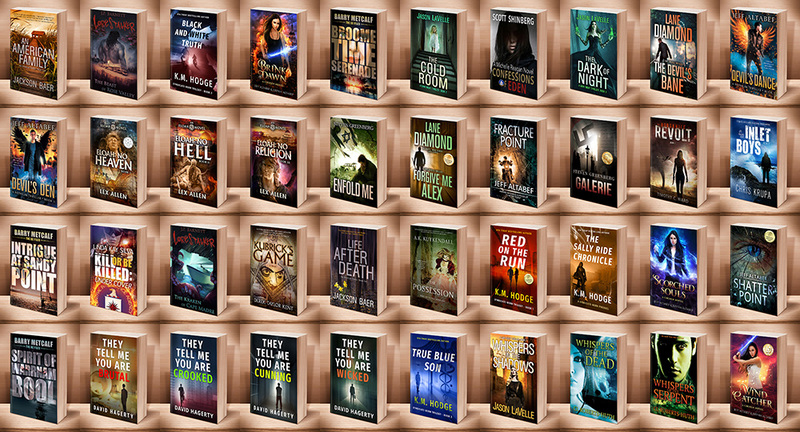 We have so many excellent thrillers for your entertainment pleasure, from many different talented authors. To give a little taste of what you can expect, we’re even offering some of the short stories pictured below to you for FREE. And to be sure you always remain up to date on this ever-expanding category, which often includes some great bargains, please CLICK HERE TO SUBSCRIBE TO OUR NEWSLETTER. Then we have a broad catalog of full-length novels for you, many of them award winners, often part of a series, and always professionally edited and designed. We think you’re going to love them. Find the individual page links below the picture. Thank you, and please enjoy!